As I continue to ponder what, precisely, my politics are – and how I can understand The Political in connection to said politics – I decided it might be worthwhile to attempt a kind of critique against some of my favorite fiction to draw out my understandings and make them easier to confront. To this end I have taken up looking at Warhammer 40k as a means of examining our increasingly dystopian world, and my growing dissatisfaction with it. It is also a critique of certain kinds of logic, certain ideas of what it takes to “fix” things, that is expressed in recent developments in the fictional universe that may map onto certain ideas in the real world. This isn’t intended to be a judgement of the Warhammer 40k setting as a work. To say that the rise of the Emperor of Mankind in the 40k universe is a perfect analogy that can trace our own struggles with totalitarianism, authoritarianism, and fascism is clearly a mistake. But, nonetheless, it can serve as an example of how certain logics and ways of thinking connect to these struggles. In short, this is a strange attempt at simply stating things I think, but am still uncertain about. I will not attempt to go over the whole fictional setting I am using here, but I have chosen it partially because many of my friends are familiar with it, and therefore it might make it a better tool of explanation for those who know me. For those who do not know the setting, here is what I will basically be dealing with: imagine, in the far future, a single individual with immense psychic and physical might deems themselves the “Emperor of Mankind,” unites all of Earth, develops genetically engineered super soldiers (Space Marines) and demigod-like sons (“Primarchs”) and starts a crusade to unite an intergalactic humanity into an Empire. Part of this Emperor’s project is the elimination of all religion and superstition in order to preserve a kind of “enlightenment” or the values of reason and science. To cut a long story short, human beings (regardless of the Emperor’s wishes) are so awed by his power they inevitably start worshiping him as a god in secret, eventually half of his Sons (again, “Primarchs”) betray him and deal him a mortal blow before losing a civil war and getting banished. The Emperor is put into a life support chamber where he is unconscious, but his psychic power continues to provide energy across the Empire. Eventually, the Emperor is worshiped as a God, the Empire becomes a dogmatic Theocracy that punishes anyone who doesn’t worship the Emperor, billions are enslaved and exploited, and the Empire is constantly at war with other alien forces. In short, everything that the Emperor sought to fight against (suspicion, barbarism, theology) comes back in the worst way, and is ironically centered around him as the figurehead. In the short story “The Last Church” by Graham McNeil, the Emperor has a philosophical discussion with the last priest of the last church remaining on Earth. The Emperor regularly claims that the church, for all the good it may have done its parishioners, is still a monument to ignorance and the potential for self-destruction. The priest retorts that the “Reason” preached by the Emperor is just as much an abstract ideal, focused on single great individuals, that has led to a gigantic war and many deaths. “The difference is I know I am right,” said the Emperor. Let’s begin some critique from this point: even if he (The Emperor) has been present throughout history much longer than almost any human being alive, he is still situated in history as it happens. As a subject, his values and perceptions are shaped by what is around him. One might argue that, as a powerful psychic force bordering upon godhood, the Emperor does have a total vision of the universe (or at least enough totality to determine and justify his actions as a historic necessity). First, as a simple literary claim, I think there’s plenty of writing that complicate that notion of the Emperor’s perception and of the nature of fate in the setting. Secondly, continuing our understanding of this notion of history, even if the Emperor had a total view of the Universe this would remove his place as a subject because he would see himself within it as an object. To see everything totally means precisely that one cannot act. If the Emperor has a total view, then he is no more than a subject of fate: part of an entirely suspicious, mythic world he seeks to destroy. If the Emperor really has such comprehension that he knows for certain the morality of his actions based on everything past and present, he is, in fact, a God. When the Emperor says the difference between himself and the church “I know I am right” we must understand that this “I am right” is operating under a completely specific kind of reason. For the Emperor, his subjects are instruments and numbers for a generalized “mankind.” In trying to serve “mankind” as an ideal in its own right, the Emperor begins a long process that will culminate in the utilization of human labor as fodder for an industrialized society on an unprecedented scale. For the old world, the theology that came before the Emperor, the totality of “Mankind” was not so much a number, but a matter of morality, soul, and a kind of being. To shift outside of the fiction back to history, this is the kind of tension that Horkheimer and Adorno identify in their Dialectic of Enlightenment, where the virtues of “reason” that come out of the Enlightenment are opposed to the superstition that came before, namely from the Feudal Age. But this reason, which originally is intended to liberate individuals (as in the French Revolution’s goals of Liberte, egalite, fraternite), becomes many kinds of reason that can support many different goals. Particularly, there is an instrumental kind of reason, a reason where we scientifically begin to view individuals as numbers and statistics, where what is “reasonable” is what can be achieved through the management of these numbers. Out of the Enlightenment, instrumental reason grows through the development of capitalism, where human relationships are increasingly determined by exchange value, commodity production (and consumption), and the determination of wages. The “better” outcome is that numerically more people will benefit, but the actual nature of the people who are effected, their context within society [it’s not “everyone” who is suffering equally for the rewards of their labor – it is a specific population that suffers for the benefits of other populations who are rewarded] is treated completely as an instrument rather than as an end to be cultivated. Difference, contradiction, and the very roots of what actually allows for a meaningful advancement or cultivation of human life is instead “reasonably” reduced to “abstract quantities” and numbers. Men, women, and children who may be rich, poor, sick, healthy, educated, miseducated, uneducated, or any other number of various qualities and circumstances are not treated as such: they are merely an undifferentiated “Mankind” that will be preserved against all odds. In the recent fiction from the setting, one of the Emperor’s “sons” – the Primarch Roboute Guilliman – awakens from a decades-long coma to discover the horror of what was once the Empire of progress that he helped develop. He bitterly comes to realize that the very logic of that progress was in part instrumental – it was not concerned with love for the lives of individuals as they were, but for an averaged ideal of mankind. Guilliman must himself face his own role in this. Mankind’s instrumentation is personified in the Space Marine and Primarch: mankind is elevated through quantified improvement, even difference is transformed into categorization of the human element across legions and figureheads. Unlike the Nietzschean Ubermensch that passes through the space of nihilism through creation, celebration, and the search for communication, these Supermen are made through instrumental, engineered power. These instrumental men are made into tools of warfare, but also into a propaganda tool. 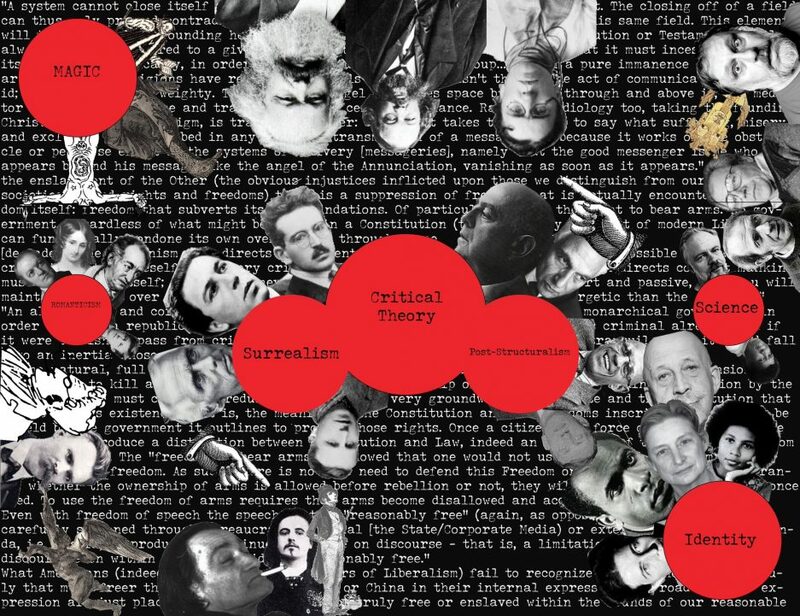 Political instrument and aesthetic become one – what Walter Benjamin identifies in Fascism. Technology as a definitive measurement cannot be neutral. An example: early film cameras made by white Anglo-Europeans were made to represent white figures because they were seen as The Subject. However, people with black and brown skin tones were not captured as accurately and are obviously distorted in early pictures and films. One doesn’t need to see the development of such technology as a truly intentional act (the inventors most likely did not think they were actively trying to erase blackness as a subject) but, in ways that are perhaps worse, it reveals an entire worldview where the question of a non-white subject was not even considered. The racism of the camera here is not to say the technology of image reproduction is to be entirely abandoned or that developing technologies is an evil, but that technology is not neutral, and science comes with a perspective of subject that matters and can itself become a barrier. As media scholar Marshall McLuhan so famously puts it: “The Medium is the Message.” The tools we use to view and measure the world, and ourselves, ultimately determines what we think is possible. The problem of the reemergence of the Primarch Robute Guillimun is that, while his position of exteriority in terms of values and memory reignite a kind of hope for a better human society, his disgust does not accept the contradictions already present in his own values that led to the society he hates. This is precisely why, in contemporary American society for example, the framework of “what would the founding fathers have wanted?” or “is it constitutional” is an inconstant critique of the present. Whatever is worthwhile about those values, we have already seen that the very system that produced them is not upholding them. There is no “going back.” Or, rather, “going back” to look for worth in previous values can only really push us to move forward into new social organizations with the potential to redeem those values from the limits of their own time. Once values move away from principles to an actual social organization, a revolution has occurred. Guilliman cannot succeed if his solution is to reproduce older systems while asserting greater authority with Space Marines (again, quantified human ability). His idea that humanity can be improved by instilling greater moral consideration into Superhumans, convincing them to be politicians and civil engineers rather than just soldiers, shows a contradiction: mankind is the goal, but human potential must be maintained under social force. Rather than escaping militarization, Guilliman is actually turning military thought back onto society itself. This is partially because, for all his political interests, his desire to politically change things, Guilliman doesn’t wrestle with what “The Political” in his society is. Guilliman wants things to change, he wants to contest “the interplay of conflicting powers within this unity,” but he never questions the idea that there is a clear role for himself, for space marines, for human beings, and, most importantly, for the Emperor. Guilliman wants to force everyone back into their appropriate places in the Empire, and then to readjust their goals and social assumptions, that is their culture. Here I’m going to make a brief diversion to mention the critique of the 40k world based on identity politics, and specifically how it needs to go further if we’re to understand how society limits social inclusion and individual development. Inclusion is important on the basis of including people into a community, but in Warhammer 40k we might want to ask what, precisely, is the social order that people are included into? Does inclusion actually disrupt this social order? So it becomes important to ask: how are we including characters? What is the message implicit in this inclusion? In the case of 40k, we need to be careful that the inclusion of, say, more women into the setting doesn’t undermine the inherent satire. Heralding female Space Marines as something implicitly good (which, to be clear, I am in favor of female space marines) overlooks the fact that such inclusion promotes something else troubling: the message becomes “Fascism/Imperialism is equal opportunity so long as you are human!” If anything, what 40k could be trying to show us is that the potential for cruelty, for arbitrary division, even, yes, something as horribly grandiose as ethnic cleansing can exist regardless of one’s identifications as an individual. What I would hope for is an opportunity to use figures of different identities to reflect on the reality of the Empire and whether it truly lives up to a humanitarian ideal. Within the interior narrative of the 40k universe the most interesting stories are those where characters are confronted with the interior contradictions of their values and the possibility of hypocrisy. In Abnett’s Horus Rising the protagonist is conflicted between the knowledge that Space Marines are intended to show the potential of a united mankind, but that Space Marines are themselves alienated and prone towards infighting, secrecy, and sectarianism. Another character, a remembrancer [a mix between an artist, chronicler, historian, and propagandist] openly criticizes the Empire when he realizes that the only way it knows how to uphold its own values of universal worth is by destroying and replacing the cultures that have developed without it. This is seen most powerfully and openly when the Empire encounters another sect of humanity that has developed its own thriving culture on a far off world. This sect of humanity is much more like humanity in Star Trek, believing that peoples who do not wish to interact with them should be left alone, and others should be approached with a spirit of cooperation. Even though both of these civilizations profess to value humanity, the Empire is still confronted with the fact that its only known method is really to forcefully assimilate. To reduce to its own standards of reason. This is all to say that inclusion into a system can be furthering oppression and exploitation if one does not fight to change the assumptions and structures of the system itself. Politics and activism are limited when they do not set the goal of shifting The Political itself. The Empire will remain an Empire. We live in a political space that is empty of any clear, single authority: we do not have kings or emperors who determine Law by decree. But, in that space, we have failed to stop seeking out authority – we appeal to the President, the Constitution, to the idea of Natural Right – that can practice given Law by force. In some sense, we live in a world where the Emperor is still sitting as a corpse on a throne and our appeals to Force and Law and Right have not actually discarded this dead figure. Meanwhile, since these appeals to Force cannot actually maintain a social order that has been outgrown (the Emperor has no feudal Empire to rule, nor could they produce one if they returned), they are used after the fact to maintain the rule of the economy. Our political structure primarily functions to ensure capital investments can move with relative freedom throughout the globe. In fact, it is easier for money, brands, and corporate capital to move internationally than it is for most individuals. The ruling class is no longer those given divine right, but those who own capital and, therefore, those who manage the labor of the majority of the population. The feudal order, where roles were distinguished according to a divine law, begins to merge with capitalist development, but instead of many roles where everybody fits into their place, their emerges the role of the Owner and the role of the Worker. The latter is best represented by the 40k Servitor: individuals stripped of any self awareness, given machine tools for limbs, and forced to work for eternity on the projects of the Empire. In this system, every human being is, at their most basic level, simply a servitor: pure labor. Ironically, the more specified and divided the roles of labor become, the more the worker is homogenized into this labor pool in society: “with the advance of the division of labor and the growing scale of capitalist production, the role of the worker in the industrial process has a tendency to be transformed from active to passive, from master to cog, and even from participant to observer…” (Martin Nicolaus, Foreward to the Gundrisse, pg 51) Any sort of individual expression (gender, clothes, what you do for fun) becomes irrelevant to the structure of society and your place in it. You work for the society, the rest is irrelevant. Yet, if everyone becomes a servitor, purely automated, the system cannot work because nobody can use what is made: in a world of pure machines there is no consumer. So even this excess outside of our labor power – our “individual expression” – itself becomes absorbed into the structure, because such expressions become tied to what you can afford, that is, what commodities you can buy: “The wealth of societies in which the capitalist mode of production prevails appears as an ‘immense collection of commodities’ … The commodity is, first of all, an external object, a thing which through its qualities satisfies human needs of whatever kind. The nature of these needs, whether they arise, for example, from the stomach, or the imagination, makes no difference. Nor does it matter here how the thing satisfies man’s need, whether directly as a means of subsistence, i.e., an object of consumption, or indirectly as a means of production.” (Karl Marx, Capital vol. 1, pg 125). At this point, following the last few quotes, it is probably obvious that I approach my critique as some kind of Marxist or Communist. I say “some kind of” because I am figuring out what that means. What I do believe is that the powers of industrial production and capital have unleashed an enormous amount of human potential and awakened humanity to its power to shape its own conditions of life. But, as the increasing wage gap, the impoverishment of the global environment, and the increasingly disastrous financial crises show, these forces, when part of a system of profit, without a democratized ownership of those forces that move our world, lead increasingly to disaster: “if the good life is a life of action, why should the range of human activities be limited to those that are profitable? And why should modern men, who have seen what man’s activity can bring about, passively accept the structure of their society as it is given? Since organized and concerted action can change the world in so many ways, why not organize and work together and fight to change it still more? The “revolutionary activity, practical-critical activity” that overthrows bourgeois rule will be an expression of the active and activistic energies that the bourgeoisie itself has set free.” [Marshall Berman, All that is Solid Melts into Air, 94] I do not see in Marxism an attempt to force the world into an all-too-false stability, some kind of Stalinist world of pure production, rationed out in bits and pieces, but an approach to a potentiality, a world where the great shifts, changes, and revolutions produced by the system of production are not happening in spite of our interests, “controlled by a ruling class with vested interests not merely in change but in crisis and chaos,” but are put into the hands of people who become free to change and adapt and explore towards new freedoms and possibilities. Rather than fitting people into one kind of freedom determined by the market, but opening up a kind of freedom where self-development is possible without the constrictions of profit and wage-labor. In the face of financial and ecological crisis, our industries increasingly will be forced to find ways of making less, but less that is for more. That is, not mass-producing commodities to stock a market where many of those commodities will go to waste, but to produce for individual needs on a scale that will reduce waste. The development of ever-personalized systems of production and demand (everything from 3D printing, to ebooks, to home energy production, to drone-delivery systems) might itself point to an alternative that is buried in capitalist development. To turn, once more, back to 40K: consider the STC. The Standard Template Construct was, in the universe, a mix between a digital blueprint, design software, and an AI capable of designing, modifying, and constructing nearly anything from weapons, to houses, to engines. One could simply ask how to build something, and the STC would provide all the necessary schematics. Paired with proper resources and tools or industrial ability, nearly anything could be produced. In the world of 40k, such STCs are nearly gone, but they are often utilized merely for the mass production of weapons and engines of war. Imagine, instead, that such technology was used to produce what people required, on-demand. What a different kind of society that would be. How that would be structured, I do not know, but the potential for something different is nascent. And something different will have to come one way or the other. Is it more utopian to think that we could change our very structure of living for the better; or to think we can force everything to stay the same and solve all our problems with no new ways of life, no new ways of making and distributing things? I choose to fight for the first option. If the second is our only utopia, it is also dystopia. A kind of grim, dark present that has no redemption.